IT Support and business consultants for South Florida businesses. 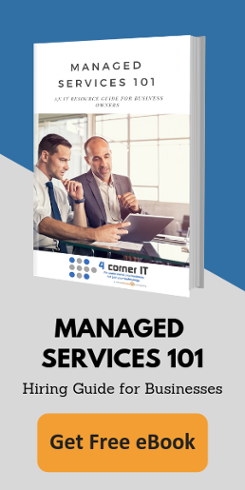 4 Corner IT is a managed services IT company providing superior technology services and consulting in Fort Lauderdale. We have offices located in Fort Lauderdale & Miami, Florida, Wantagh, Long Island, NY, Basking Ridge, NJ, and Los Angeles, California. We also have support in Iowa, Arkansas, and expanding rapidly as part of the WheelHouse IT family. 4 Corner IT is always ready to assist with your company’s tech needs. Call us in an emergency or for general consultation questions, we are always available to help you. To contact us via email please fill out the form on this page. Thanks for visiting our site!